The law of supply is a basic principle in economicsEconomicsCFI's Economics Articles are designed as self-study guides to learn economics at your own pace. Browse hundreds of articles on economics and the most important concepts such as the business cycle, GDP formula, consumer surplus, economies of scale, economic value added, supply and demand, equilibrium, and more that, assuming all else being constant, an increase in the price of goods will have a corresponding direct increase in the supply thereof. The law works similarly for a decrease in prices. 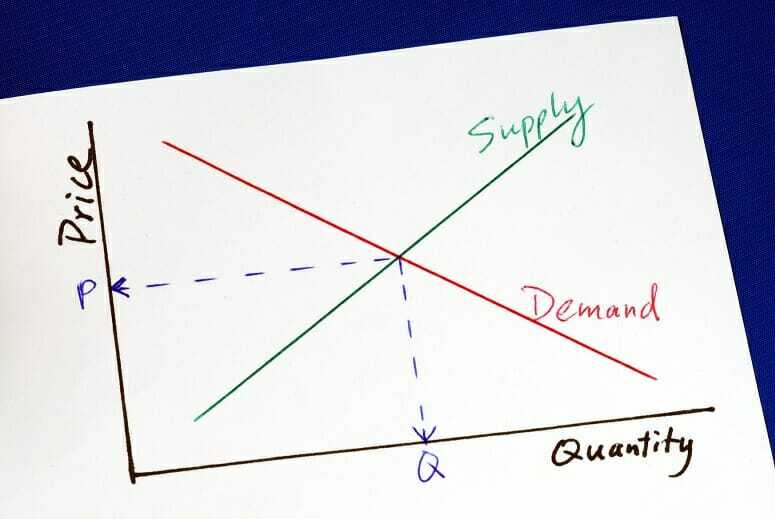 The law of supply depicts the producer’s behavior that when the price of a good rises, the tendency is to increase supply because there is now more profit to be earned. On the other hand, when prices fall, the producer will decrease production due to a reduced economic opportunity. What are the limitations and factors affecting the Law of Supply? Cost of Production – when there are changes in the cost of raw materials and labor to produce a unit of supply, the volume will change as well, assuming the selling price remains the same. The variable cost affecting profit margins is a big factor in targeting the quantity to produce. Technological Changes – Advancement in technology can boost the efficiency by which units are produced, lessening cost of production. This would have a similar effect as outlined under ‘Cost of Production’. Taxes – imposition of taxes in the production of goods limits the profitability of a commodity. Similarly, if a producer is required to remit a portion of sales as tax, a producer will be less inclined to up supply. Legislations – certain regulatory laws or quotas may be put in place that limits the quantity of a given product. For example, in the Energy industry, carbon offsets limit the amount certain companies can supply. Periods of Uncertainty – In situations of higher risk, producers may be more open to lower supplies so they can offload their inventory. During war and civil unrest, for example, producers are more than eager to sell at a lower price. Browse all our articlesResourcesFree resources to advance your corporate finance career. CFI's resource library includes Excel templates, interview prep, technical knowledge, modeling, on finance, accounting, and economic topics. Explore our free career resourcesResourcesFree resources to advance your corporate finance career. CFI's resource library includes Excel templates, interview prep, technical knowledge, modeling, including our interactive career map. Corporate financeCorporate Finance CertificateWe offer several corporate finance certifications through our online course offering for careers in investment banking, equity research, FP&A, accounting. ValuationBusiness Valuation CertificateOur business valuation certification is earned by completing our online course and learning how to value a company. The certificate is verified by CFI.